Summer time means high heat for those who prefer the great outdoors and there’s nothing quite like a frozen treat on such days. 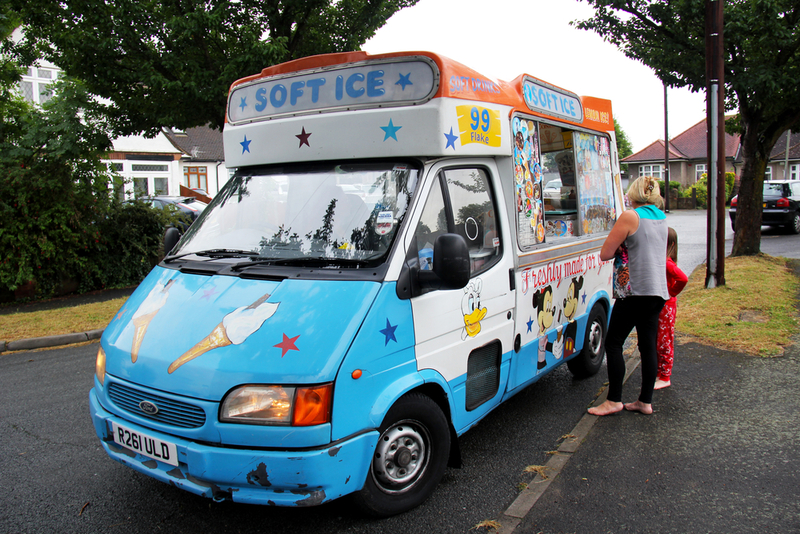 Depending on where you live, you might even be fortunate enough to hear the sound of “Pop Goes the Weasel” or “The Entertainer” year-round, and it may bring you and/your kids racing to catch none other than the ice cream truck. Ice Cream trucks are not nearly as common in most neighborhoods these days which makes them a pretty unique find. 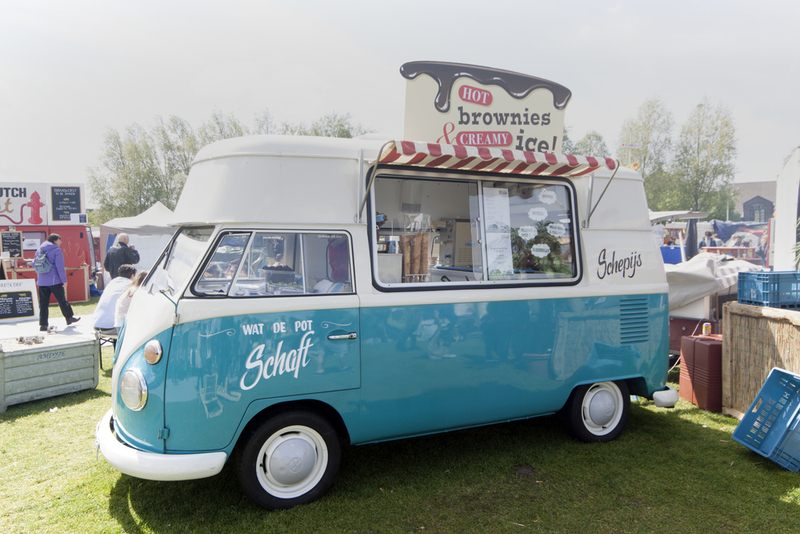 Today on ShopTalk, we’re taking a look back at the history of these sweet treat delivery cars and how they’ve changed from mere carts cooled with ice blocks to fully mobile ice cream and frozen yogurt bars. While some companies now allow parents and guardians to track their neighborhood’s truck with GPS, and yet the time-honored traditional set-up is still the same: Customers approach a truck with an open side window, review the menu, and place an order. Professionally built ice cream trucks either have their own soft serve machines, storage for tubs of ice cream for scooping ore prepackaged foods that use commercial cold plate freezers that plug in overnight and when unplugged maintain the cold for at least 12 hours. 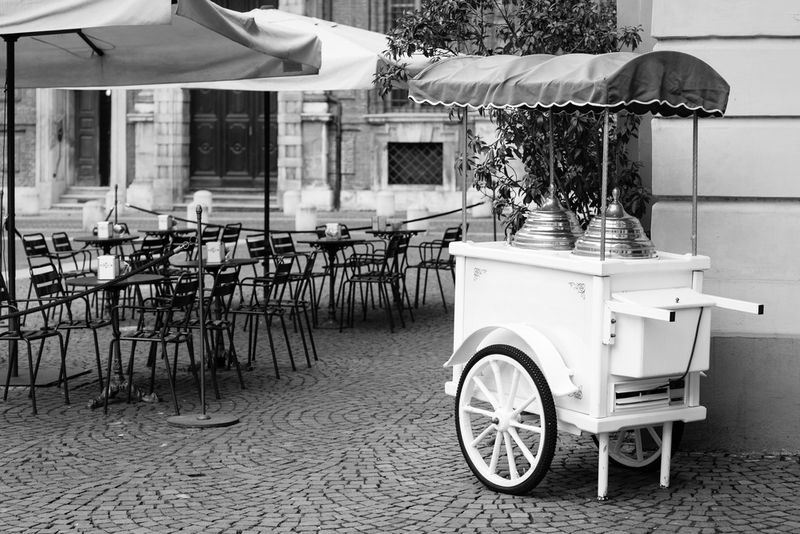 The ice cream cart began its life in the US as an urban phenomenon where working class laborers would buy a small dish of ice cream that he or she licked clean before returning them to the vendor, wiped down, and loaded with a fresh scoop for the next customer. If you had extra money, you could opt for ice cream sandwiches. It was not yet standard practice to pasteurize milk in the U.S. until the 1890s, meaning any and all dairy products ran the risk of bacteria that causes scarlet fever, diphtheria, and bovine tuberculosis. “Ice cream poisonings” was pretty common at the turn of the century and even reported in the news. However public health officials tended to overlook dairy contaminates and instead blamed ice cream poisoning on artificial flavors. It wasn’t long since this went away as pasteurization became the norm, ice cream hygiene, such as it is, improved dramatically people were no longer afraid to order a cold treat whenever and wherever. And the gig game changer was at the 1904 World Fair in St. Louis where the ice cream cone was introduced. The turn of the century is largely remembered for the tremendous social and technological change. For instance the early 20s saw an unprecedented advancement in refrigeration allowing the then-new electric coolers to fully replace ice deliveries. They were more portable than ever and it was finally possible to be placed on a motor car. In terms of social change, the early 1920s also saw the start of Prohibition and the brief end of easy access to wine, beer, or spirits. Thus many Americans turned to the comforts of fast food and sweets. The popularity of ice cream parlors were on the up and up and it wasn’t long before ice trucks started driving into town. 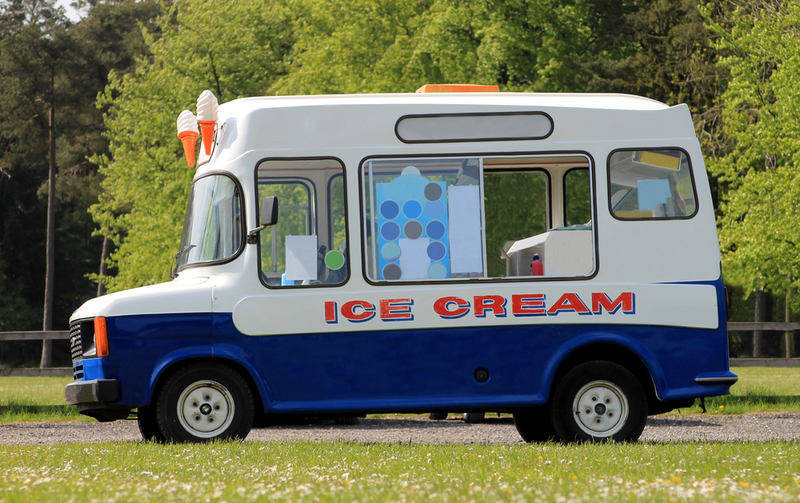 The very first ice cream truck was credited to a man named Harry Burt of Youngstown, Ohio, who was the creator of the Good Humor brand (now owned by UniLever). Burt already managed a successful business delivering ice cream from a motorized vehicle before he god the idea to place chocolate covered ice cream bars on a stick. The Good Humor ice cream “sucker” was notable for being easy and clean to eat, making it perfect to sale directly from his truck to consumers on the street. As Depression era ice cream parlors or stores became a luxury, ice cream trucks such as Burt’s Good Humor brand where able to thrive due to the low-cost. After WWII, ice cream production boomed and the landscape for the cold and sweet treat on the road changed. The famous Mister Softee was founded in Philadelphia in 1956 by two brothers who created a soft serve ice cream machine built to be operated inside a truck. Good Humor sold its fleet in the 1970s to focus on grocery store products; Mister Softee trucks are still on the streets not to mention many small business owners who sell original treats as well as pre-packaged favorites to a new generation of kids and families listening to hear the familiar jingle on a hot summer day. 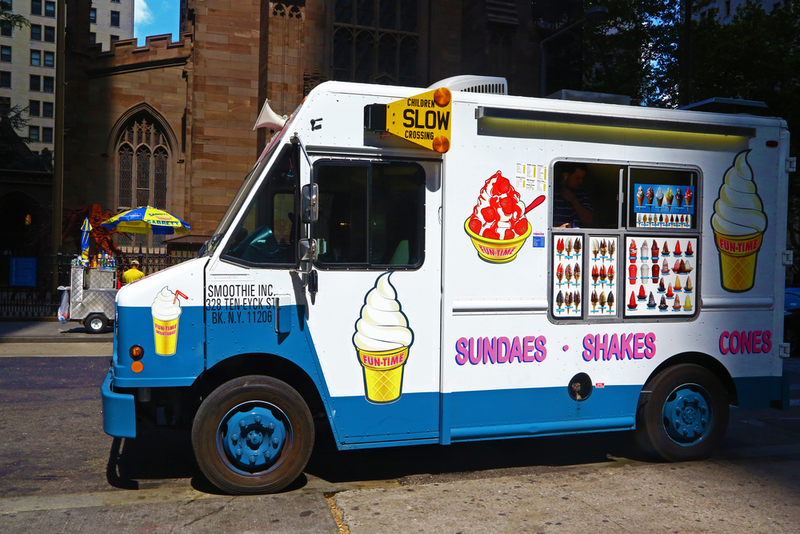 These days we have the advent of social media networking allowing ice cream truck operators to evolve and adapt the traditional business model. The traditional approach of cruising neighborhoods for customers hasn’t gone away completely but now most operators such as gourmet ice cream sandwich maker Coolhaus build their brand on social media sites and “announces” the location of their trucks turning the whole endeavor into an event.